Samsung released the Galaxy S5 for Rogers back in April of 2014. It was available in 16GB and 32GB model variants, and in blue, white, gold or black. All models can be externally expanded up to 128GB with a micro SD card. These models were released running Kit Kat and can now be upgraded over-the-air to Lollipop. 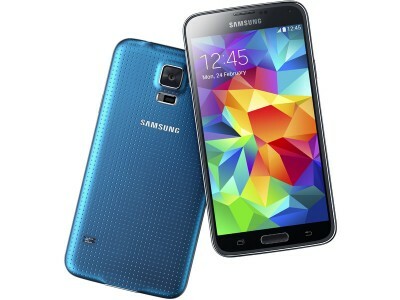 The Galaxy S5 has a 5.1″ super AMOLED touch screen with TouchWiz UI and Corning Gorilla Glass. It also has a 16MP camera with a 2160p video recorder, and a 2MP front-facing camera with a 1080p video recorder. The S5 camera supports touch focus, geo-tagging, and simultaneous picture and video recording – just to name a few! The Galaxy S5 is exceptionally fast, thanks to its Qualcomm Snapdragon quad-core processor. Gaming is a breeze also with its Adreno 330. The body itself is IP67 certified; water and dust resistant. The S5 now supports PayPal verified fingerprint sensory technology and wireless charging! Unlocking your Rogers Galaxy S5 is quick, easy and 100% guaranteed by Cellunlocker.net. Unlock your Rogers Galaxy S5 with Cellunlocker.net today and receive your network unlock pin within 24 hours!